Leaves turn colors, temperatures start to cool, the sun’s heat wanes, and instinctively we drop our guard and “forget” sunscreen, leave our hats at home and waltz out into the day’s rays utterly unprotected. 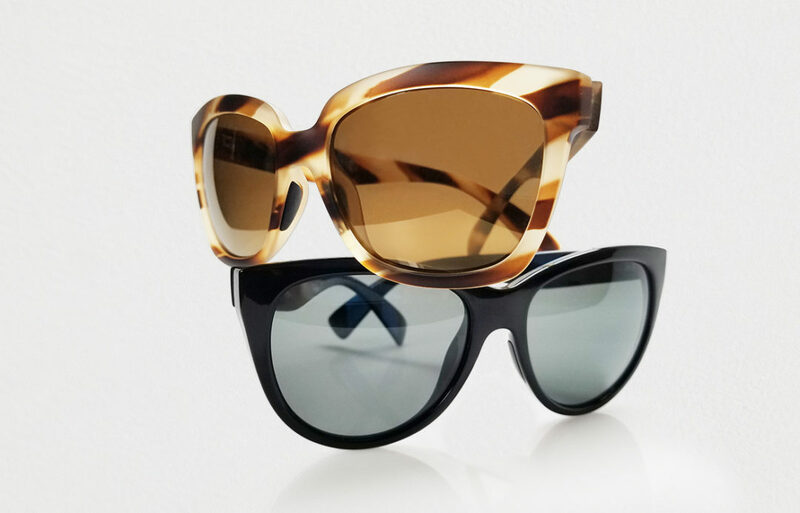 Is it really necessary to stay vigilant with UV protection? Are we truly risking the sun’s wrath if we sit beachside with our book or enjoy our morning cup of coffee on the terrace? Or is this UV stuff all hype? The answer is simple and surprising. Yes, it’s necessary to stay vigilant even though it feels cooler outside. Science is very clear that the harshest of rays, UVB (“B” helps you remember for Burning) change in intensity based on the season and the position of the sun. But, UVA rays (emphasis on “A” for “Aging”) remain strong in full force with fearless intensity year-round, regardless of season or the sun’s position. These rays will undermine mind all your protective measures unless you stay on it. In short, UVA rays are incredibly powerful rays that never go away, constantly and cumulatively wreaking havoc with skin health, contributing to skin cancer, vision loss and reducing our immunities. While it may seem excessive to wear UPF 50+ clothing covering arms, faces, and heads in these cool fall days, a simple neighborhood walk, a casual bike ride, a lunch al fresco or a play day at the park adds up to long-term irreversible cellular damage. 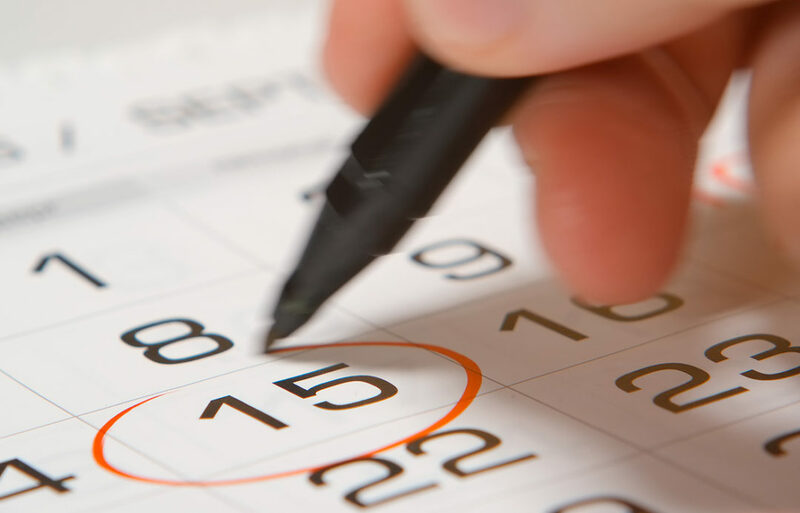 So, yes, keeping your guard up and staying protected is a year-round gig. Omnipresent and relentless in their reach, the relatively long-wavelength UVA accounts for approximately 95% of the UV radiation reaching the Earth’s surface and thus our skin. Although UVA is generally far less carcinogenic than UVB radiation, it’s present more abundantly in sunlight than UVB radiation and contributes appreciably to the carcinogenicity of sunlight. UVA penetrates into the deeper layers of the skin where connective tissue and blood vessels are affected. As a result, the skin gradually loses its elasticity and starts to wrinkle. Furthermore, recent studies strongly suggest that it may enhance the development of skin cancers. The mechanisms of this UVA damage are not fully understood, but a popular hypothesis assumes that UVA increases oxidative stress in the cell. Think of UVA as a sneaky, ill-intentioned ninja, stalking their prey (your skin) and never letting up. They penetrate your car windows, but you don’t see them; they’re invisible. They damage skin, but don’t feel them because they don’t burn. But, within a number of years, you start to see the effects of UVA’s work. Freckles pop up on your chest, wrinkles and brown spots appear, jowls and neck skin droops, collagen and elasticity diminishes. 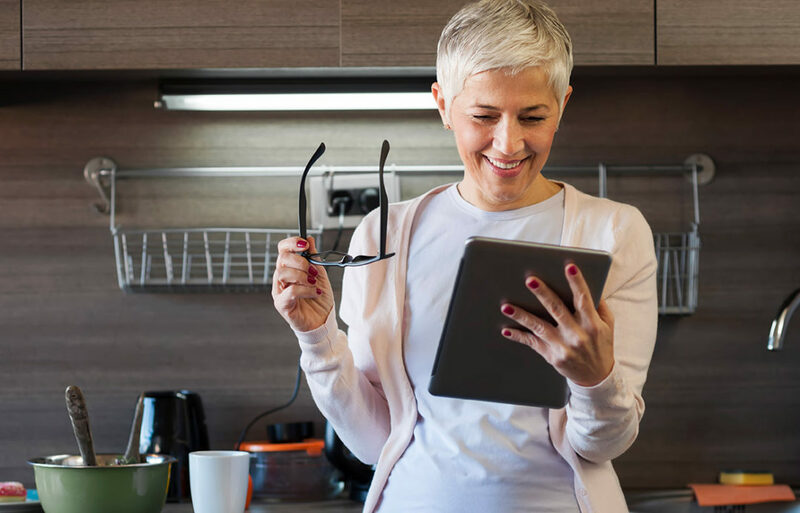 Even more serious concerns occur, like vision issues, eye cataracts, and macular degeneration. Or, most serious of all, cancer happens. While UVA isn’t the primary source of cancer, it is a known contributor. And, the simple and unprotected daily commutes and errands in the car, shuttles of kids to soccer or long walks on a warm fall day accumulate and become irreversible UVA damage. For nearly 20 years, our focus on protection with UPF 50+ clothing was laser-pointed at people who’ve encountered a real medical concern, like cancer, sun allergies, Lupus, chemo treatment, prescription medications that create sun sensitivity. So our broad-spectrum UV fabrics have been specially developed to authentically protect those in need and attack UVB because of its evil results while also pushing back on UVA rays. With stylish, intelligent clothes that block UVA/UVB, a Coolibar tee-shirt looks and feels like any tee-shirt, and with incredible intent. You’d have no idea our tee was a hard-working UV blocking shirt; it’s as soft as a cotton tee and feels wonderful. This strategy has been essential to many customers, because nearly 70% buy Coolibar because of a medical issue, and they want to avoid visibly publicizing their health situation. So our design philosophy has been to develop highly technical fabrics in elegant, comfortable clothes and swimwear that look great. Candidly, we’ve never talked much about UVA. We’ve always blocked UVA, but we’ve never really emphasized these rays, until now. Today, with a company mission that emphasizes keeping people safe from UV damage, we need to be more assertive about prevention as much as we’ve designed for protection. We want to start younger, get people paying attention to skin health. This commitment is our version of “an apple a day.” What’s our answer to powerful UVA rays this fall? How can you start your prevention regime? We’ve developed a proprietary year-round fabric derived from the Merino sheep in New Zealand. It’s a fantastic blend, machine washable and super comfortable, and we’re not just saying that because we developed it. The Coolibar Merino Wool is an ultra lightweight, comfy, super breathable UPF 50+ fabric that insulates on chillier days and cools on warmer days, and, equally important, it tells UVA rays to bounce off (putting it politely). It’s light enough for men who fear sweater weather; it travels; it’s a lightweight fabric that’s a heavyweight UV fighter. Tested and endorsed by dermatologists and holds The Skin Cancer Foundation seal of recommendation, our Coolibar Merino Wool blocks 98% of UVA and UVB rays and does it in a collection of fall wraps, pullovers, sporty polos, long cardigan-style sweaters, scarves, designed to cover arms, necks, hands and look perfect for the season. Being based in Minnesota, we revel in all outdoor seasons. Our entire company actively participates in outdoors year-round activities. We wear test our products for technical performance, styling, wear-ability, fit, comfort and durability. If we were pushy and not Minnesota nice, we’d highly suggest you wear a quality, high-end sunscreen, always protect your eyes with the best sunglasses you can buy (please avoid the glasses from the dime store; their lens effectiveness degrades) and wear UPF 50+ clothing that makes hiding from UV rays look and feel good. A cotton tee may not safeguard us at the beach, let alone on the street. 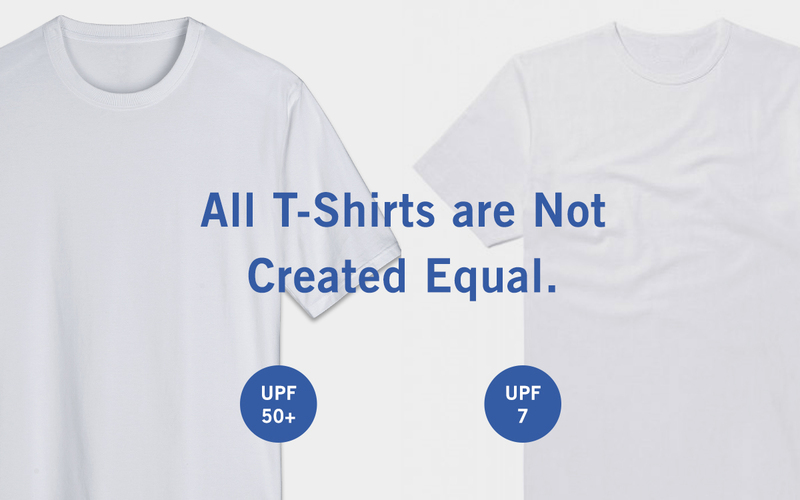 Dry, a white cotton shirt provides and ultraviolet protection factor (UPF) of 7*, and wet from the pool, the protection level drops to about UPF 3, exposing us to UV radiation. Today, 90% of skin cancers and premature aging are a result of UV exposure. As skin cancer rates are on the rise, this is one easy way to keep your skin safe from UVA and UVB rays. Coolibar’s ZnO t-shirts, tunics, dresses, hoodies, polos, and pants are super soft, comfy and UPF 50+, blocking 98% of both UVA and UVB rays. All our fabrics are guaranteed UPF 50+ from the first time you wear a shirt to the day you retire it. We may be t-shirt and fabric geeks, but the right fabric matters. 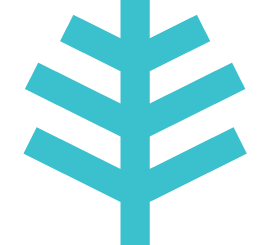 ZnO is a proprietary Coolibar fabric, a blend of cotton, bamboo viscose (a natural UV fighter) fabric embedded with millions of zinc oxide minerals. What makes our ZnO fabric unique is the zinc oxide minerals are inserted at the fiber level and can never be worn or washed out; they protect you as long as you need them for the lifetime of the garment. Zinc Oxide protects against UVA and UVB rays and has many skin comforting qualities, often used on the most sensitive skin types. Between UPF and SPF, the concept is essentially the same, to protect your skin from ultraviolet radiation. What SPF is to lotions, liquids, and serums, UPF is to fabrics and clothing. Beyond the obvious difference between lotion and clothing, SPF measures sunscreen protection from UVB rays, the burning rays that lead to cancer. When applied correctly, an SPF of 30 blocks 97% of UVB rays (don’t forget to reapply too). SPF doesn’t account for UVA rays which also can cause cancer and aging. Look for the broad spectrum on the label on your sunscreen. UPF measures light transmittance, and Coolibar UPF 50+ blocks 98% UVA/UVB rays. Coolibar fabrics exceed all U.S. standards and are tested to the Australian standard, the highest rating standard in the world. All Coolibar fabrics are UPF 50+. Stop settling for just a plain shirt. When shopping for your next t-shirt consider going with a tee with UPF power to keep your skin safe while you enjoy all of your adventures. This May, we are getting gross. Coolibar’s mission is to help protect the world from sun-related conditions and to support that mission we want to help educate people about skin cancer during the month of May. 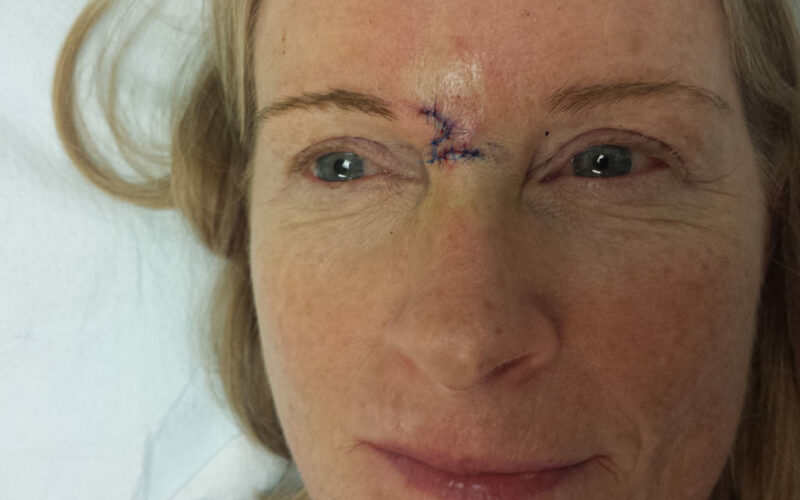 The ugly truth is that skin cancer is not fun or glamorous. 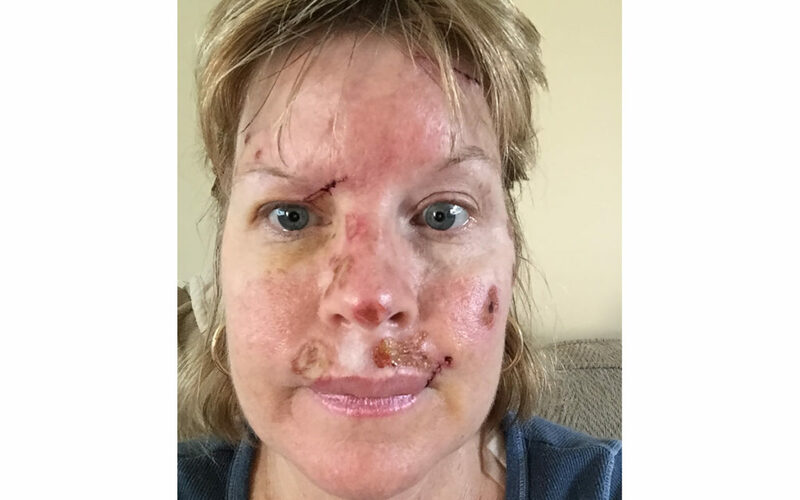 We want to share the not-so-wonderful side of what happens after a skin cancer diagnosis with the hope that we can all help protect and prevent others from a potentially fatal or life-threatening form of cancer. Bear with us as we share stories to provide awareness, education, and spur prevention. We are among friends –now let’s get gross. 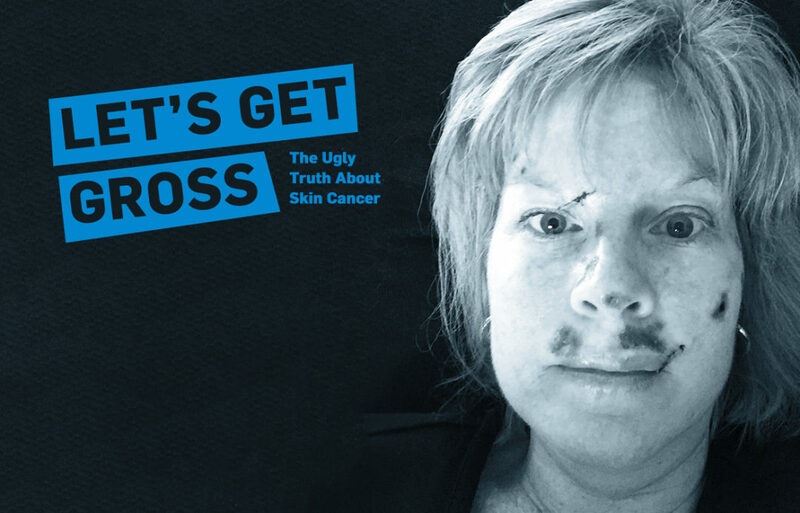 Over the past three decades, more people have had skin cancer than all other cancers combined. 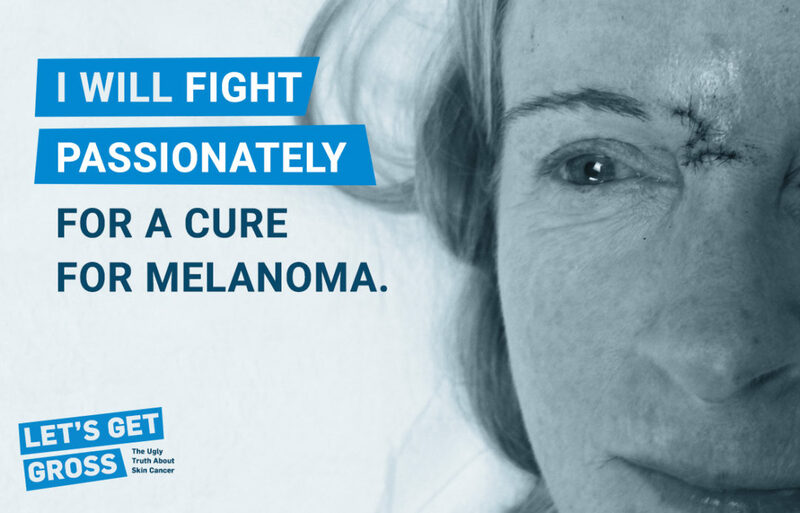 In fact, in 2017, more than 160,000 Americans are expected to be diagnosed with melanoma, the most dangerous form of skin cancer, with one American dying every hour of every day. 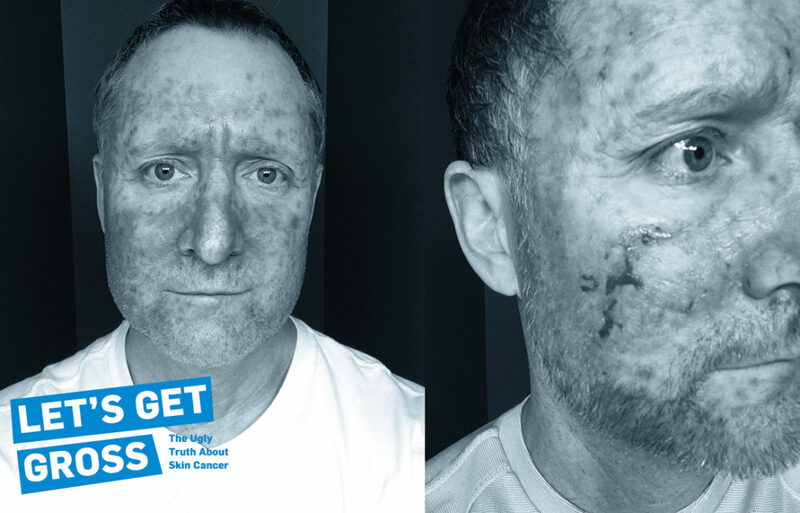 Unlike other forms of cancer which form internally, skin cancer can often be caught early. In most cases, there is something visible on the surface of the body in the form of a mole or changing freckle. Early detection is key and many people do not know what to look for. 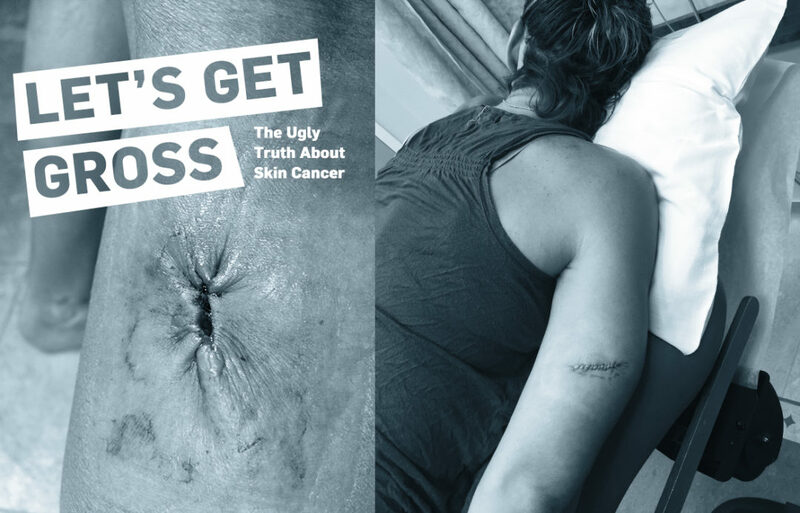 The “Let’s Get Gross” campaign invites survivors to share their stories, photos, treatment images, and scars, to help bring awareness and education to the forefront. 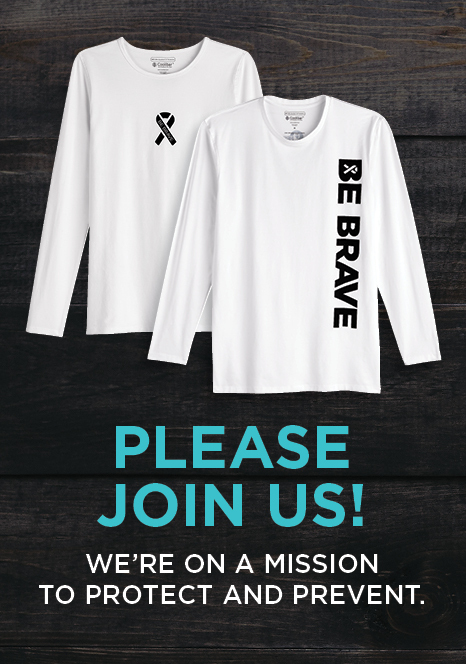 We are featuring valiant stories from skin cancer survivors Summer Sanders, TV host, reporter and 1996 U.S. Olympic Swimming champion and 3x Melanoma survivor, Ian Leonard, FOX 9 Chief Meteorologist, and media notable Judy Cloud, among others. 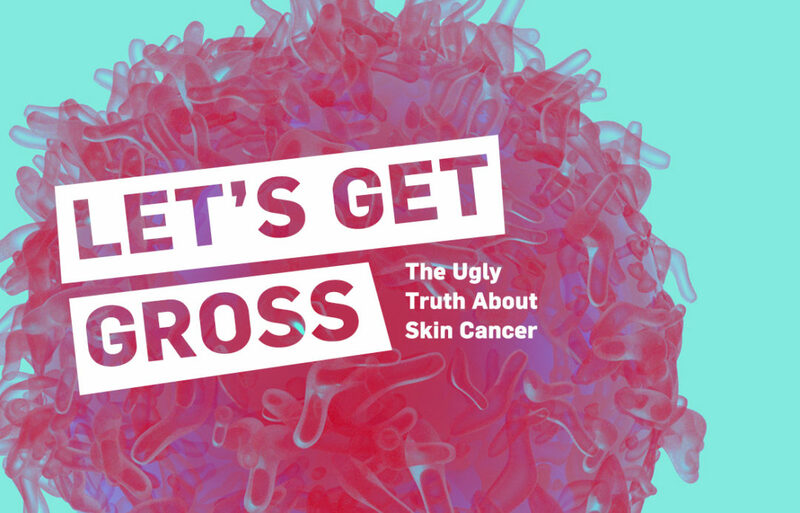 With a purpose of prevention from this potentially fatal form of cancer, our campaign shares explicit photos, gripping and reality-based stories and informational facts about skin cancer to encourage annual skin checks, self-protection from UV exposure with UPF 50+ clothing, hats and SPF 30+ sunscreen and by making a difference through knowing and sharing the facts. Each survivor simply doesn’t want anyone else to endure what they’ve experienced and they don’t want anyone to go through losing a family member or friend to this vicious cancer. Exposing the reality, the ugly truth unites us all in helping one another. We want to share the person who inspired this campaign: Emma Betts. Emma was diagnosed with Melanoma at the age of 22 and had a terminal diagnosis. Some stories are not pretty or fun to tell but Emma knew telling her story could save a life, change a behavior, and prevent melanoma. Emma described her blog Dear Melanoma as an authentic glimpse into the roller coaster that is life with Stage 4 Melanoma. As soon as any of us at Coolibar clicked to follow, we were on that roller coaster with her. We got to know Emma through her pictures and stories. Read her heartbreakingly honest posts, watched her plan a wedding to the amazing Serge, followed along with her treatments and then when she stopped her treatments, smiled when she posted pictures of Ralphy her dog, was excited to see when she bought a place and enjoyed watching her renovate the kitchen, cheered her on as she raised money, advocated, educated, and spread awareness about Melanoma. She was more than a person with Melanoma that we were learning from – we felt like we were friends with Emma even though we never met her in person. There’s a perception that skin cancer occurs primarily among older demographic or with fair skin types. We’ve read all the statistics and data surrounding skin cancer, and melanoma does not discriminate by age, gender or race. Emma, through her pictures and writing, showed us a human side to the data. She showed us what life can be like when you are diagnosed with a terminal disease. She made it real. She inspired us to want to do anything to protect everyone from going through this ugly disease called Melanoma. Unfortunately, the statistics are against us. Emma lived to the fullest, jumping into her dreams even though her body had an unknown expiration date. She had an impact on us and I hope now on you too. Emma passed on April 8th, 2017. She was 25 years old. To the people who were close to Emma, know that there are people out there, like us, who share Emma’s passion to prevent others from experiencing this deadly disease. Know that her pictures and stories matter; they live on to make a difference even all the way around the world in Minneapolis, Minnesota. We will work to change the statistics. We encourage everyone to go back and read her blog “Dear Melanoma” from the beginning and see the legacy that continues today. Dear Emma, this one is for you! Be part of the Let’s Get Gross Campaign by checking our Facebook page, sharing your story, reading our blog posts, and sharing them with those around you. I never intended to share my skin cancer journey with anyone outside of my Facebook friend group. 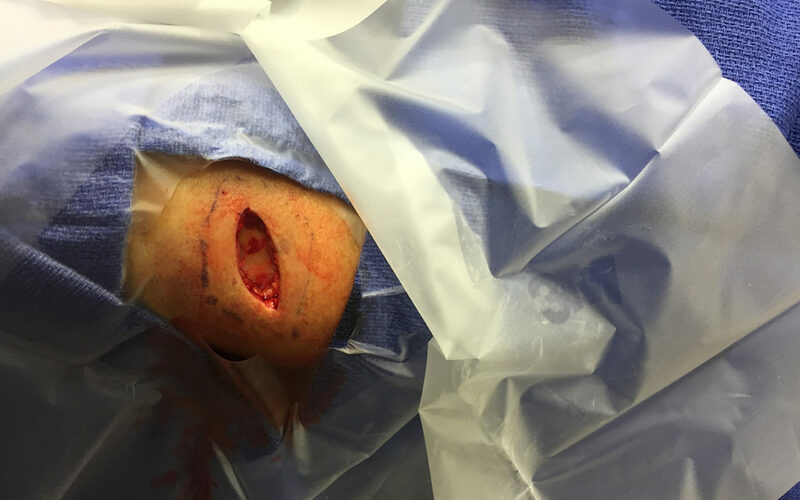 Like everyone else, most of my posts depicted a happy moment in time – an event forever captured to share with family and friends to stay “connected.” My skin cancer was so invasive, time-consuming and emotional, I posted it as a warning for the people I love most. I never wanted anyone to experience what I endured, and continue to live with, from over-exposure to UV rays through tanning bed use and sunburns. 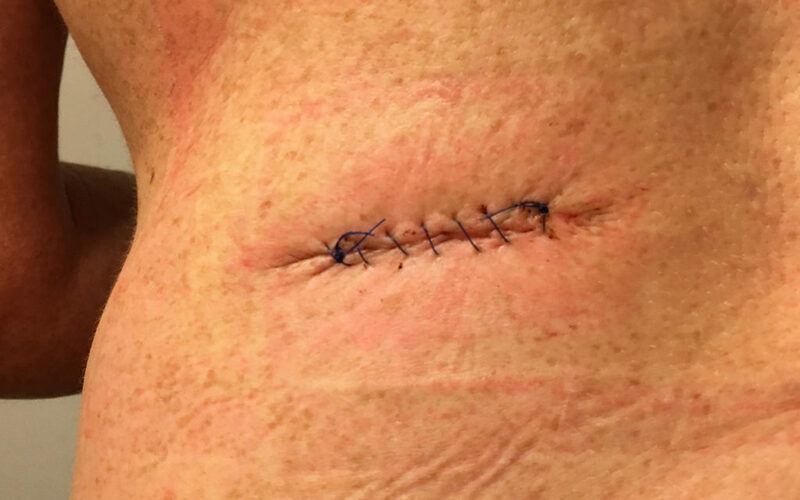 My doctors have told me my skin cancer was largely preventable. While I have risk factors (blonde hair, blue eyes, freckles, light skin) that I can’t change, over-exposure to the sun and the use of a tanning bed are things that I could change. 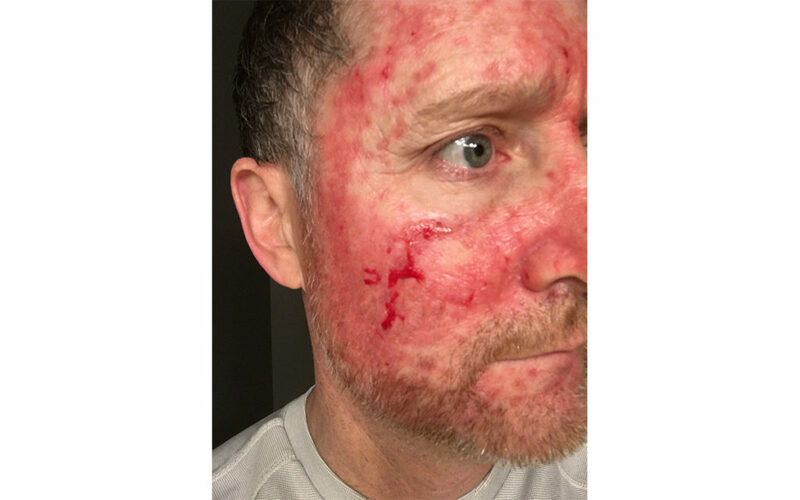 Even today, pictures of my stitches, scabs, and scars are very difficult for me to look at and I cannot believe the response they have had across the globe. Almost daily I have a message on Facebook from someone who has been touched by my story. Most people want to know if I am doing “ok” and how my life has changed since my skin cancer diagnosis. The truth is that although I am feeling fine, my life has changed fairly significantly. 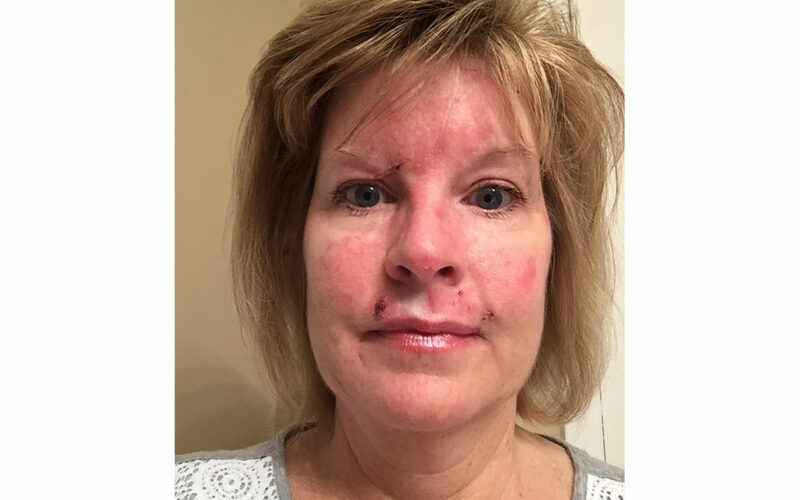 Every morning I look in the mirror and self-check my skin for new spots or visible changes. Given my history and knowing early detection is key for effective treatment, this routine puts me more at ease and reminds me that I am responsible for my own health. It’s not paranoia that causes me to do frequent skin checks; it’s now a part of my daily routine out of necessity. Sometimes the Facebook message I receive is from someone who is sharing their own skin cancer story with me. They tell me they are grateful to know they are not alone. In all honesty, I have found skin cancer to be a lonely cancer. We are diagnosed, the doctor treats us and we are sent on our way. I have been unable to locate a skin cancer support group, which I believe is greatly needed. 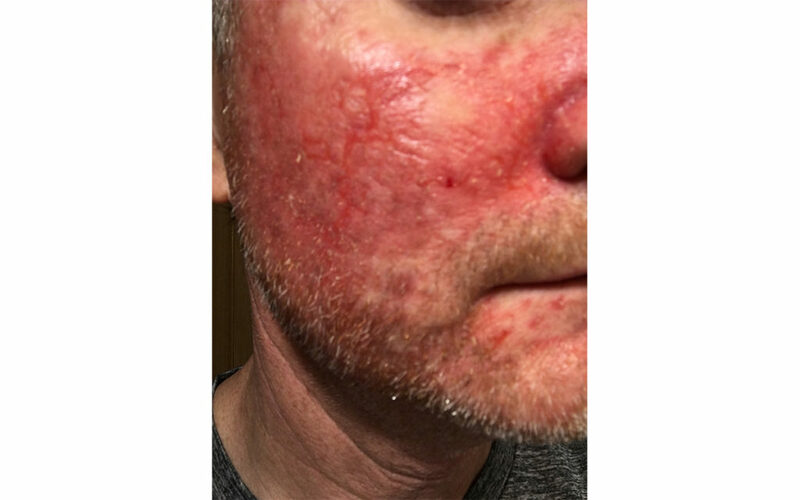 When I was growing up, our generation was not warned about the damaging effects of tanning beds, and a sunscreen beyond 2-4 SPF was not available. 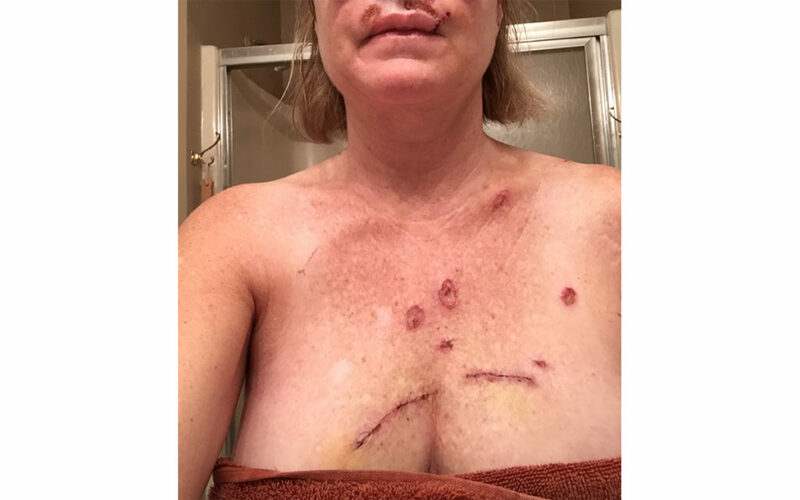 It is hurtful to hear that I (along with other skin cancer survivors) have “brought this on myself” from strangers and even family members when truly skin cancer awareness and education was unheard of when I was growing up. My mission today is to raise awareness so people don’t have to go through what I have gone through. We now have access to better information, and as the saying goes, knowledge is power. I would also like to create a community of support for those of us who are skin cancer survivors so nobody ever feels like they are alone. I will continue to share my story and encourage everyone to do the same so we can save lives.